Most of the 29 million small businesses in the United States wouldn’t exist without borrowed money. Businesses loans, lines of credit, and credit cards all provide capital to spend on new equipment and employees and finance growth. Debt is a necessary part of doing business but it also presents risk. It’s estimated that half of small businesses shut down within their first 5 years. The average American small-business owner has $195,000 of debt, according to a 2016 Experian report. 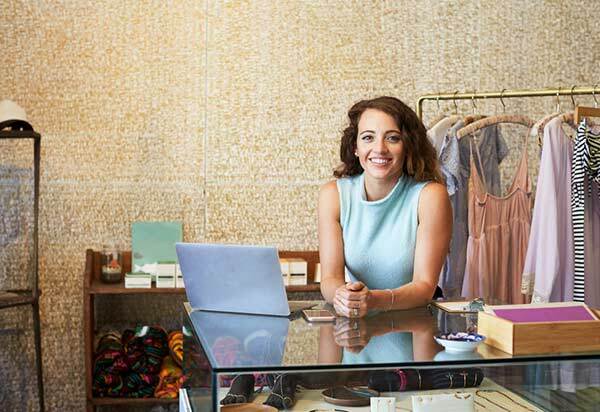 Fortunately, there are many things you can do to ensure your small business enjoys the benefits of borrowing but avoids falling into the debt trap. Knowing your monthly earnings and monthly payments is key to managing your debt. Your monthly earnings (or net income) are your revenues subtracted by all other business costs, such as taxes, salaries and other expenses. If you have a business loan, your monthly payments are your principal (the total loan amount divided by the number of months to pay it off) plus interest. Stable cash flow and a disciplined budget can also help you pay off your debts. If your cash flow and spending are predictable, then it should be easy to predict how much money you’ll have at the end of each month to pay your lender. But if cash flow is variable and you lose track of expenses, you may have trouble meeting payments and start generating more debt than you can handle. Before borrowing money, read the fine print. Business loans and lines of credit can include loopholes – some of which may help you and others which may cause headaches. What is your lender’s policy on early payments? Paying off some of your debt earlier than scheduled can be a great way to reduce your debt burden. But some lenders impose penalty fees, making early payments less worthwhile. Does the lender offer a grace period? A grace period can be a good opportunity for a business to generate positive cash flow before starting payments. But back-ended payments can be a problem for businesses if income falls short of expectations. What are the penalties for late payments? In some cases, such as when income is seasonal or highly variable, your business might find it preferable to pay late payment fees. But late payment fees can damage a business if not planned well in advance. If you find yourself unable to meet payments, you might want to consider renegotiating terms. Collections are expensive for lenders; if you can show that you’re unable to meet your monthly payments, your lender may consider it more practical to accept smaller amounts rather than run the risk of your business defaulting on the loan. Debt management (or debt negotiating) involves having your lender agree to a lower interest rate or to extending the loan term in order to reduce your monthly payments. If your loan isn’t secured by collateral, there is also the more drastic option of debt settlement: this involves a creditor agreeing to accept a portion of your outstanding debt instead of the full amount. The best way to ensure you don’t miss your monthly payments is to automate them. Aside from saving you the trouble of manually paying your lender every month, automated payments can have a positive psychological effect. If you see your monthly payments coming out of your business bank account every month, it’ll naturally be easier to factor in those payments when budgeting your monthly expenses. Debt consolidation refers to the transferring of debts from one or multiple lenders to a single business loan from a new lender. Your new lender deals with paying off your old debts and offers you a new loan, ideally with a lower interest rate and lower monthly payments. It can be difficult enough for small business owners to pay back one loan. But if your business has debts from multiple lenders, having to manage all those payments could be the thing that prevents you from growing your business – or worse, leads to it shutting down altogether. Debt consolidating makes it easier to manage your monthly payments and reduces the possibility of defaulting. Opening a business is expensive, but if you’re already a business owner – then adding another product, service or channel shouldn’t cost you an arm and a leg. Own a coffee stand? Bagels or muffins could complement your business nicely. Operate from a physical store? Opening a website is cheap and simple and could bring in new customers. Small business owners are often hesitant when it comes to pricing, preferring to sell higher volumes at low cost rather than identifying the optimal price customers are willing to pay for their product. Of course, you’ll want to do some research on your market and competitors before increasing the price of your product. But if you find you’ve been undercharging, a one-off price increase might be the best way to raise money for your business. Unpredictability is a big problem for many small business owners. If you own the type of business that doesn’t need your attention the entire week, then a part-time job can be a good way of generating steady monthly income in the short term. Nobody said doing business was easy. But if you think creatively and keep your eyes and ears open to the outside world, you may come up with new ideas to help your business grow. For most small businesses, debt is a necessary part of life. Mounting debt can be the biggest source of concern for many small business owners and very often the reason for a business shutting down. There are many ways to avoid the debt trap, from simple fixes that bring in greater revenue to more-drastic solutions such as debt settlement. As with any business decision, knowing your options puts you in a stronger position. Read these reviews to compare the top business loan providers so you can find the funding for you.